Orchestra: Musa Prauge / Petr Pycha. Appel Music : Link here. About the name of this new album, Jackie said: 'I called it 'The Debut' because it is the first talbot, well the only album that came out when I was 18 and I'm debuting this new me who is completely in control of my career now, I don't have to answer to anybody, I'm the boss of my own little empire, so I'm basically just debuting that'. 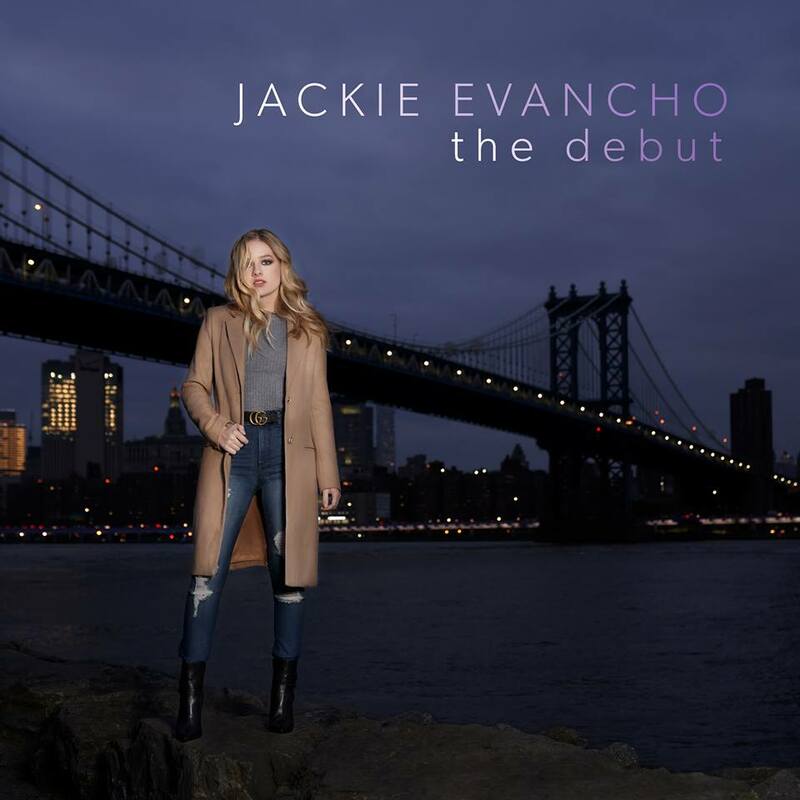 With her upcoming new album, 'The Debut', multi-platinum recording artist, Jackie Evancho will match her extraordinary voice with one of the most exciting re-emerging genres in popular music today: Broadway's new American Songbook. 'The Debut' is set for a Spring release. 'The Debut' also marks the coming of age of this now 18 year old. No longer the child prodigy Jackie Evancho has blossomed into one of the greatest vocal talents in the world today. Some even compare her to an emerging Barbra Streisand. Inspired by the great tradition of Broadway musicals, there's a new generation of groundbreaking songwriters who are revitalizing the musical theatre paradigm on both the stage and the screen. This 'new Broadway' genre is adding a remarkable new chapter to the Great American Songbook - and Jackie will be the first recording artist to embrace this rich body of work and re-invent it as her own. With breakthrough musicals like Hamilton, Dear Evan Hansen, Waitress, Once, Spring Awakening and hit films like the Greatest Showman, The New American Songbook has permeated mainstream culture- building its already impassioned musical theatre audiences while cultivating a brand-new generation of ultra-engaged young fans. The incredible composers of this new American Songbook - Lin-Manuel Miranda, Benj Pasek & Justin Paul, Stephen Schwartz, Steven Sater, and Dunkin Sheik, Sara Bareilles - write songs in a modern authentic voice. They tell stories from a fresh, young perspective that are of-the-moment, breathtakingly emotional and unafraid to reach for the beautiful, bold moments of the Broadway art-form is known for. As an 18-year-old recording artist, Jackie is in a unique position to bring a young woman's perspective to this stunning repertoire and to become one of the great voices of contemporary musical theatre and its generation. Jackie says: 'The timing couldn't be more perfect. I'm very proud to be recording and interpreting songs by these contemporary theater songwriters. Not only do I love the songs but I am able tell a story and interpret them from my perspective. It was an incredible experience getting to know these characters and songs and I can't wait to perform them live'.